Trabasaxon Alan Thomas getting into the xmas spirit with an elf. Staying warm in winter is getting more difficult. Energy prices are known to be rising and rising beyond the cost of living and therefore we need to be craftier with our ways and means of keeping warm. We’ve also found a few gadgets which could mean you can keep the heating switched off for longer and save some more cash. First things to keep in mind are your clothes. Rather than sticking a jumper on it works better if you wear several separate thin layers and where possible choose clothes made of wool, cotton or fleecy fabrics instead of synthetics. Another thing to keep in mind is that you can generate heat through the foods you eat. Stock up on the carbs over the winter and eat as many hot meals as possible and your body will thank you for it! Below are some gadgets that could make a real difference to keeping warm during the coldest times. These nifty little products can be popped inside gloves for extra warmth or simply held when you’re sitting at home to keep you warmed up. Gel Hand Warmers come in many styles and gives you 45 minutes of extra warmth. What could be better? A heated blanket that’s powered simply through a USB cable. You can keep your lap and legs warm with a USB thermal blanket that won’t cost anywhere near as much as keeping your central heating switched on. You could even pop your blanket under your Trabasack and work that way. Ideal for a bit of extra warmth when tweeting in bed or a in draughty office. Keeping your extremities warm can be key to maintaining a comfortable body temperature. Battery Heated Socks are as simple to wear any other socks and the battery compartment is well concealed so it doesn’t look completely out of place. Hear Muffs combine the warmth you need as well as being able to listen to your favourite music, podcasts or the radio. 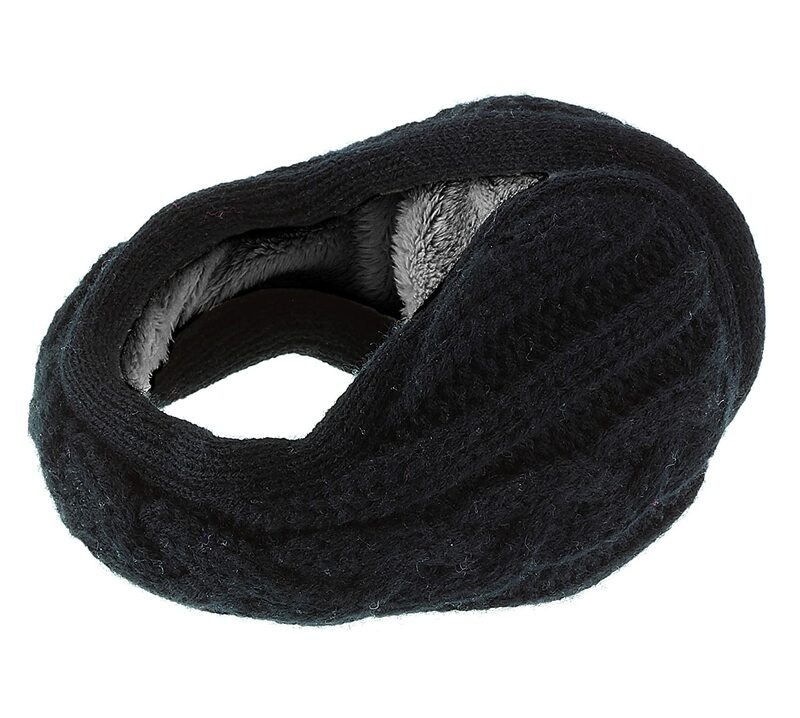 Keeping your ears warm will help in keeping your whole body temperature moderated. With this gadget you’ll be able to avoid the old method of stuffing shoes with newspaper when they’re soaked through. A Footwear Warmer will ensure shoes don’t shrink and are kept in shape. It can also be used to warm them up before go out. Some of these gadgets could keep you extra warm and help you keep your heating bills down without risking your health.Whether you go and visit relatives or have the whole family around your house, you will soon realise how your Trabasack can make the whole Christmas period much more smooth and less hectic or difficult, not to mention warmer! Let’s think ahead to Christmas and how your Trabasack will become your best friend. When visiting relatives you don’t have to worry about sitting away from the family or friends because your chair doesn’t fit under the dining table, just pull out your Trabasack and eat your dinner in the company of others without feeling too far from the table, out on a limb or uncomfortable. With your Trabasack you can bag the TV remote and keep it safe from those who might be fixated on the soaps. Your Trabasack is also a great place to store handy essentials when visiting relatives and also a great place to stuff all your Christmas cracker prizes (because you really needed ANOTHER miniature sewing kit)! Hide the hot water bottle and flask inside, tea or something stronger. Your Trabasack is also a great source of warmth over the winter period and it really does become your own portable winter warmer. Many people say that the beanbag being on their lap helps to keep their legs warm in the cold. You can even go one step further and pop a hot water bottle inside and keep extra warm whilst you’re out and about. Or why not include a hot flask of warm tea or soup, so you can enjoy a comforting hot drink when you’re out Christmas shopping without having to join the endless queues in one of the coffee shops! Send us a pic of you doing just that for a free T-shirt! Of course, the final and most important winter function of a Trabasack is as a present for others. I don’t know anybody who wouldn’t be pleased with their very own portable lap tray and bag and if you’re already an owner you probably have a list of friends who have already admired yours! Trabasack is a stylish bag that is also a very practical laptray. 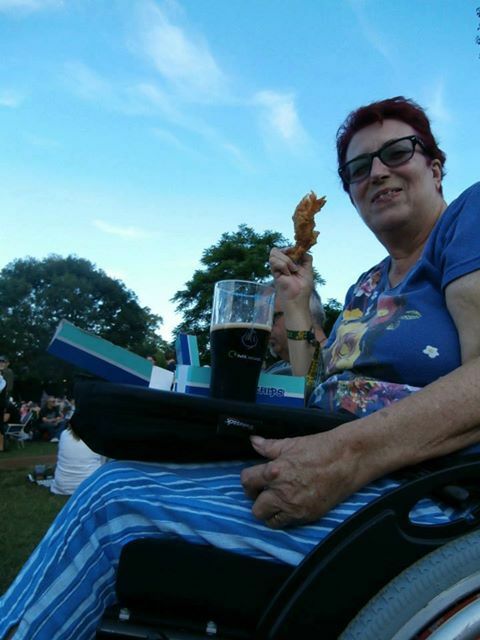 Designed by Clare Edwards (c5/6) who was fed up with being unable to get to a table for food and drink, it is now selling worldwide was being championed by some SIA members at the recent AGM! It has a small light weight beanbag cushion inside it so that it rests comfortably on the lap and a firm tray surface for food, drinks, gadgets or laptops. Clare has made it easy to use by including ring pull zips, grab handles and a range of strap options for carrying or keeping it attached on your lap as you move around. Having won design and style awards, and being a fairly low cost item, it makes a really useful xmas gift. Trabasack was also recommended by the Christopher Reeve Foundation in their Xmas gift guide so is highly regarded. So if you are looking for the perfect gift idea, why not give them a great gift and get them a winter warming Trabasack?